Friday, 26 June (T-2). After weeks of preparation and anticipation, the day is almost upon us. 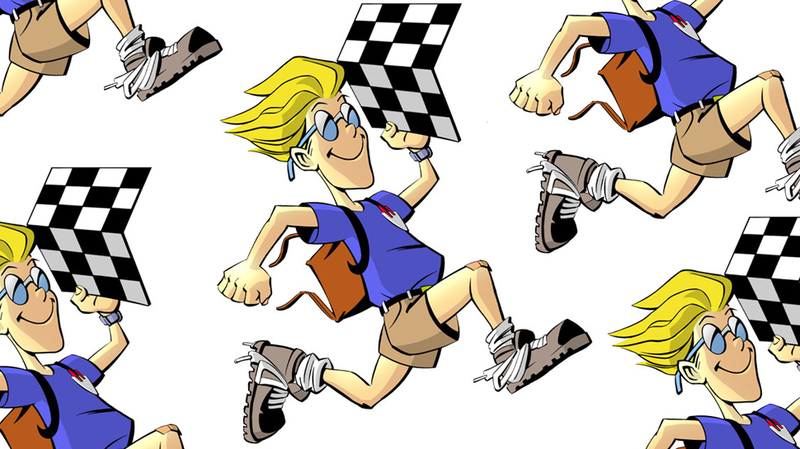 The Run Day is just a couple of days away and today’s the first day for the collection of our Race Pack! With Datacom sending a team of 8 ppl for the Run for a Cause event, I took the team out for a pre-race lunch at Hoong Hoong Yong Tau Foo at Ampang before we adjourned to Dataran Merdeka to collect our race packs. It rained while we were having our lunch at Hoong Hoong but by the time we reached Dataran, the rain had stopped and it was a cool nice Friday afternoon while we waited in the queue for our race collection. As expected there was a large crowd… hmm, dun all these ppl got to go back to work? Then again I suppose they would be asking the same question of us. hehe…. I’d expected a long queue since we’ve 12,500 runners all coming to collect their race packs in only a 2-day period (today and tomorrow). Can’t understand why SCKLM didn’t spread the collection into more days or (even better) offer to have the race packs delivered to your doorstep (like what HooHa.asia is doing for the Putrajaya Night Run). The queue didn’t seem to move AT ALL… the ladies in our group were starting to hide behind umbrellas, shades or watever cover they could find! A few started calling back to the office to make arrangement for their backups as it did not look like we’ll be able to get back to the office anytime soon. When it reached our turn, we finally understood why the queue moved so slowly.. the volunteers have to search for our running vest by size, and they also have to locate our bib number (ie the runner number we attached to our chest on run day) as the system already pre-allocated the bib number for us. haiz… you can guessed what can turn wrong in such situation? Some people asked for change of vest size.. some bib numbers cannot be located… Murphy’s Law cropping up everywhere. In the end, six of us managed to get our complete race packs but two couldn’t find their bib numbers! Another colleague who’s collecting for two of his frens also hit the same snag – no bib number. We reported the bib number issue to the Info Center and not surprisingly there was already a long list of runners who did not get their bib numbers too. I was told someone will call us back once they sorted out our bib number. Nothing much we can do but to leave Dataran and hope someone “will call” us back. It was already past 3pm when we left. That was for the 10km queue. My colleague who’s collecting for the 5km race was stuck in the queue till 4.30pm!! For his patience he got two bonus events – afternoon rain and computer system down.. kaka. The irony was not lost on us that we actually spent more time waiting in-queue to collect our race packs than we would have spent running our race! haiz. 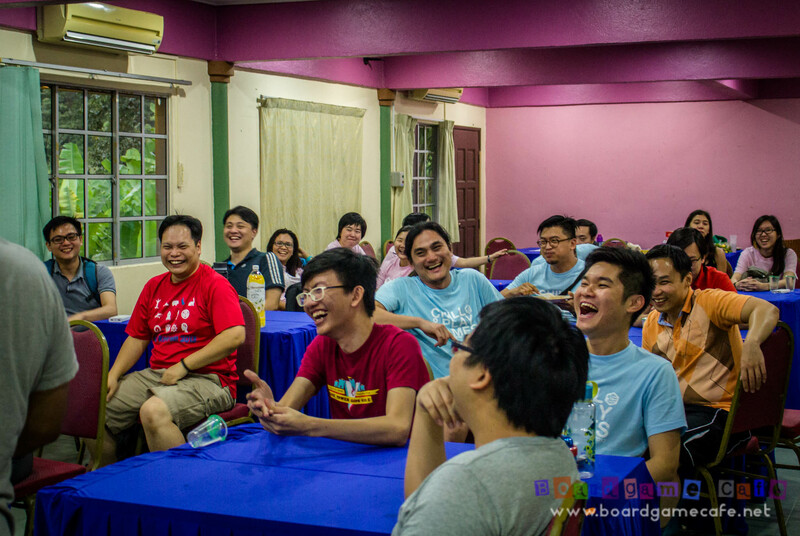 And on that evening, the SCKLM page on Facebook were bombarded with complaints from runners facing the same problems as us! tsk tsk…. 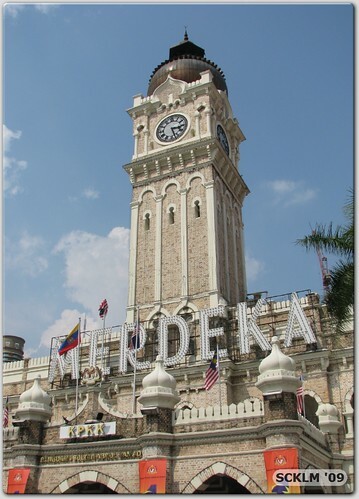 I usually do my on-the-road runs at KLCC in the evening.. and a morning run was so …. different. The air was very refreshing and you could almost smell the morning dew. Must make a note to do more early morning OTR runs. 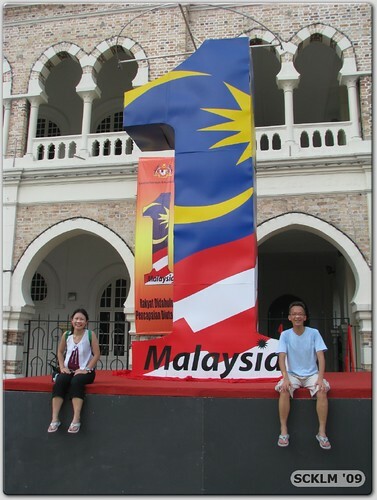 At noon, I returned to Dataran to see if the missing bib numbers from yesterday were ready. 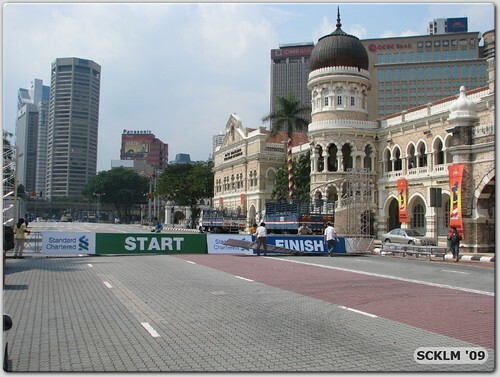 I was expecting a large crowd at Dataran since the SCKLM page at Facebook said only 5,000 runners collected theirs yesterday. Anyway I quickly got the missing bib numbers sorted out, and can even leisurely walk over to check what the other booths were promoting. 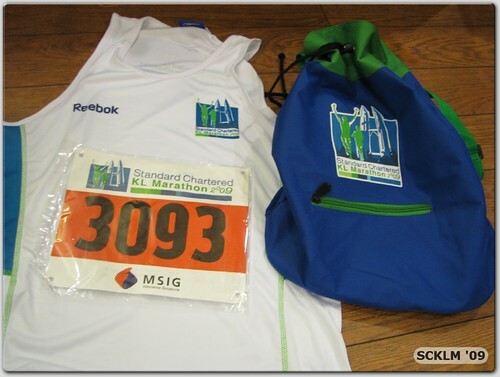 MGIS was doing their sports insurance and Reebok’s there as well with their sports attire/gear. 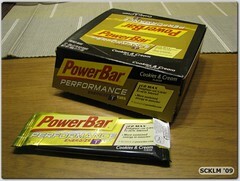 Bought a box of Powerbar at 50% discount and signed up for the Adidas King of the Road run (which is on Aug 2). We met this couple who came all the over from HK to participate in this run! I should have asked but I supposed they took part in the StanChart HK Marathon as well. I really admired their dedication to running. Guess what? I forgot to ask their names or to introduce ourselves. Duh? Where were my manners… sigh. 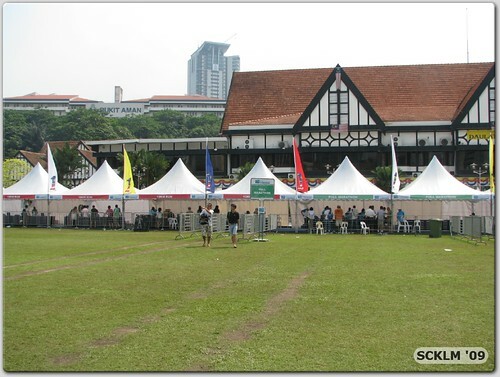 Alrite, race pack collected, bib numbers ready… get an early nite’s sleep and we are all set to Run our Race tomorrow! To view the full set of photos at Flickr, click here.